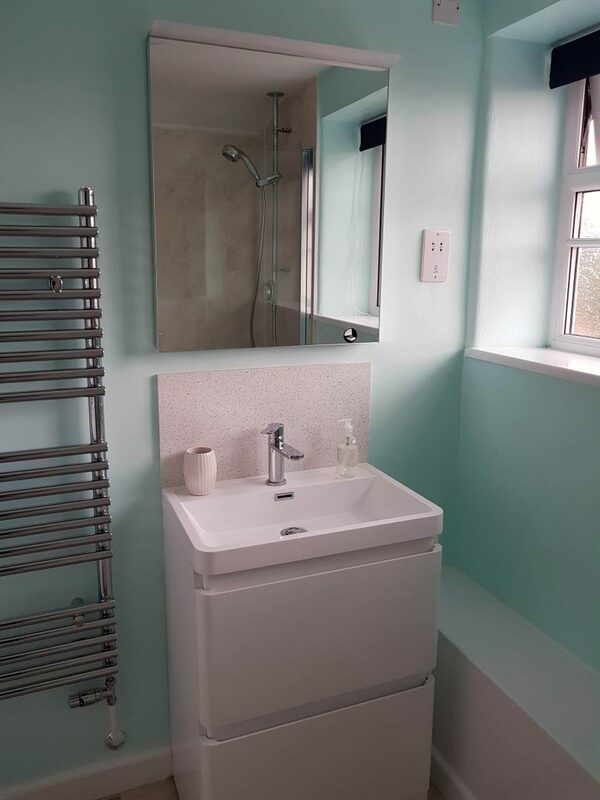 We’ve had a bathroom refit and upgrade on our plans for a while, and have completed it over the winter. 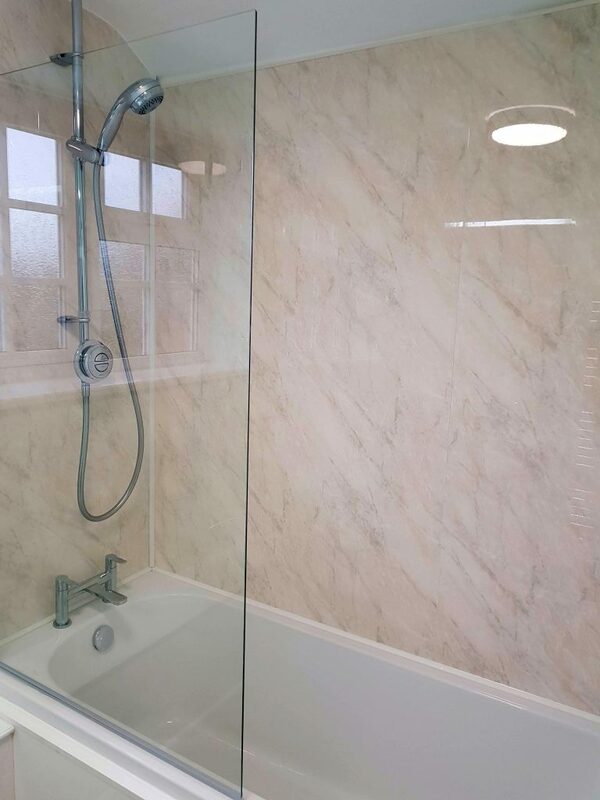 We’ve had a few comments that you prefer a shower screen to a clingy curtain, and although it was perfectly functional we thought that the fittings were looking a bit tired. 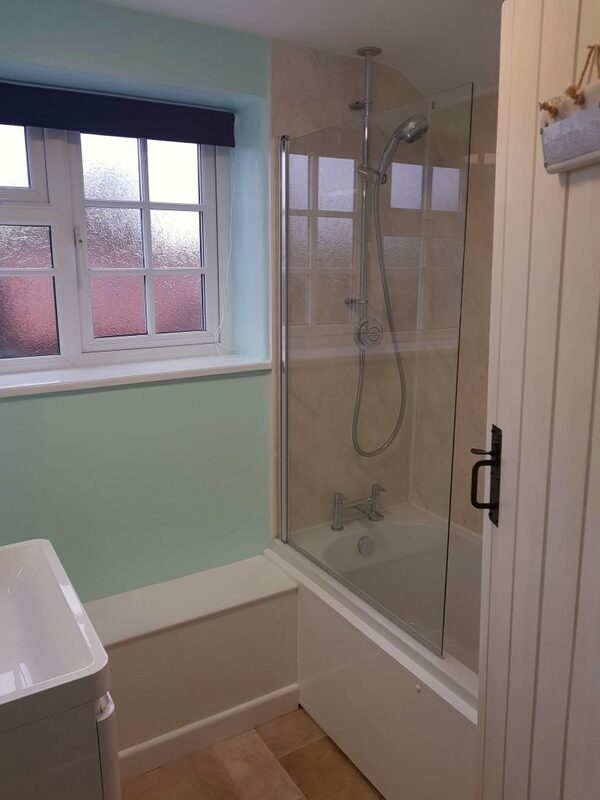 We’ve put in a new bath, replaced the tiles with much lighter and brighter shower boards, and fitted a shower screen. 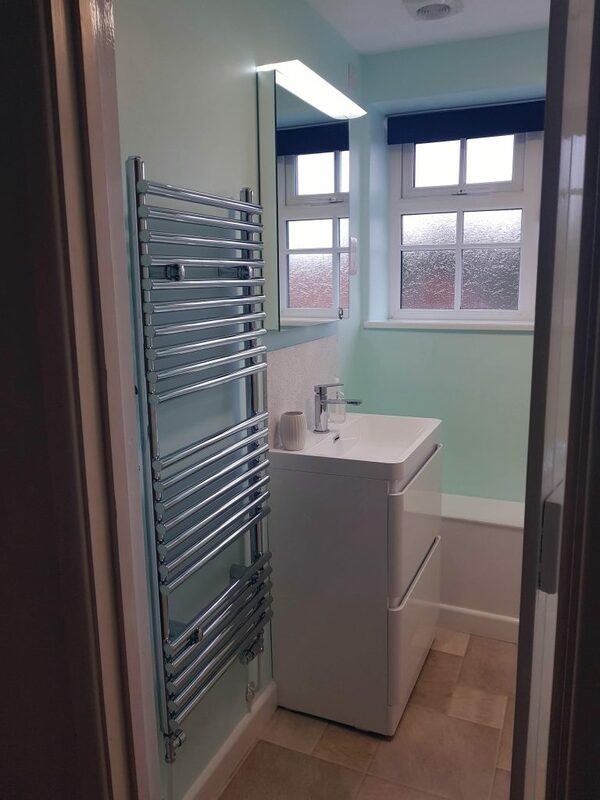 The tiled floor has been replaced with a thick vinyl which is much warmer under-foot, and we’ve moved the sink and vanity unit so it’s easier to reach the window and blinds. The new basin and vanity unit has an illuminated mirror above, which also contains a mirror heater so the mirror doesn’t fog up when you’re in the shower. 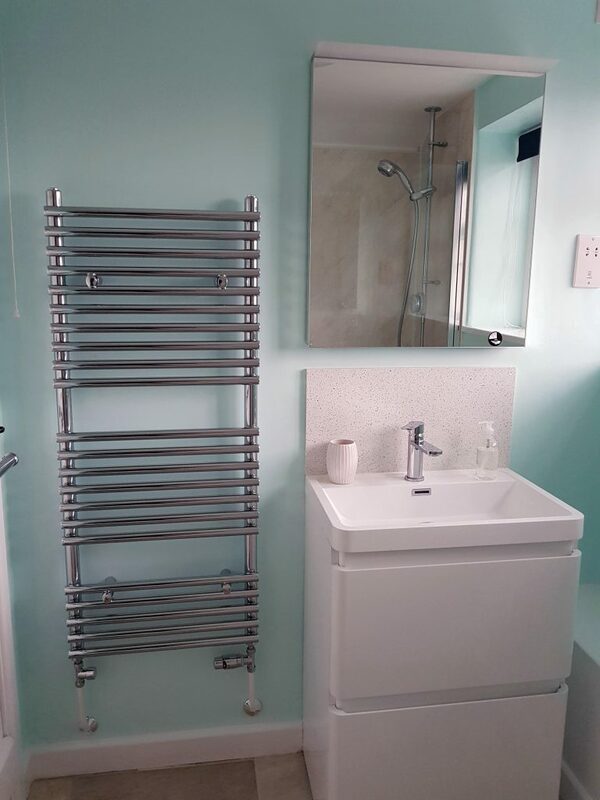 A new extractor fan, and a heated towel rail instead of the radiator complete the upgrade. We hope you’ll be as pleased with the upgrade as we are! This entry was posted in About Oaktree Cottage on January 15, 2019 by Dave.